Every now and then you may find yourself on stuck on one network or another, an you feel strongly that the other network may be better for your needs. Luckily, it is possible to force switch your Fi phone between carriers as well as restore it to an automatic setting. Open up the default phone dialer app on your device and enter the appropriate code for the carrier you want to switch to. Once you enter the code it will automatically "send", no need to do anything else. Some of you may be asking yourselves, well how do I know what network I am on? 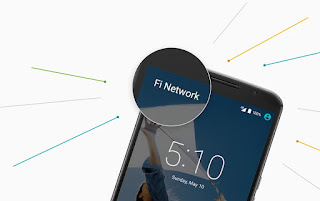 Well there are few apps available on the Play Store that will provide you with this information, including, but not limited to: FiSpy (Beta), Signal Check, Open Signal, LTE Discovery and others. Of course, there are a lot of other codes that can be entered, although I do not know what they are nor have I had any need to use them. Note: These codes are for informational purposes and they are to be used at your own risk.